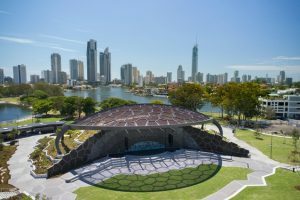 With the Commonwealth Games completed we were very proud to be part of this exciting Gold Coast Artscape project both for the controls and architectural lighting aspects. The new precinct will invite both locals and tourists into the Gold Coast allowing both a safe and enticing area as well as entertainment both day and night. Please take a look at our video to see the project in more detail.